As a business owner, you know that one of the quickest ways to fall behind is when a partner, vendor or other entity does not live up to their part of a contract. Clients count on our account collections lawyers to set things right and get them the money they’re owed. We serve business owners in Manassas, Prince William, Manassas Park, Gainesville, Haymarket, Woodbridge, Lake Ridge, Dumfries, Bristow, Warrenton, Centreville, Fairfax, Stafford, Chantilly, Leesburg, Ashburn, Sterling, Herndon, Reston, Alexandria, Annandale, Arlington, and throughout Northern Virginia. Whether you are a small business, association, sole proprietorship, partnership, or corporation, our business to business collection lawyers will work with you to collect what is owed you. As well written as contracts are, they are often interpreted in more than one way. And that starts the problem. We can help end the problem with our experienced debt collection lawyers. Our collections law firm handles all aspects of debt collection services in Northern Virginia, including pre-suit, post-suit and post-judgment actions. Our pre-suit measures involve conducting a full investigation, making well-placed phone calls, verifying information, and if needed, finding the debtor’s address and assets, including their hidden assets and property. Once this information has been verified, if the debtor continues to avoid payment, our debt collection lawyers will recommend filing a suit on your behalf. When a suit is authorized and filed, we will serve important legal documents as quickly as possible so you are afforded the best chance of a speedy resolution and quick payment. Our account collections lawyers pursue actions that are aggressive and effective. The goal is to get you whole again, and we never lose sight of that. We analyze the situation and use the quickest and most efficient way for you to collect. This may include asset attachment through the court officer, or garnishing the debtor’s accounts, placing liens, conducting debtor exams, or other means. As a business owner, your focus needs to be on moving your company forward, not chasing down money. 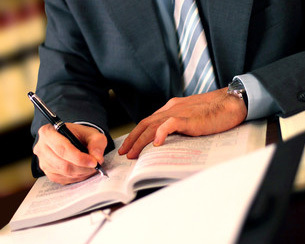 Let our debt collections lawyers do what they do best, and you do what you do best. Learn more about the representation we offer by scheduling your initial consultation. We can be reached online or by calling 703-361-0776.